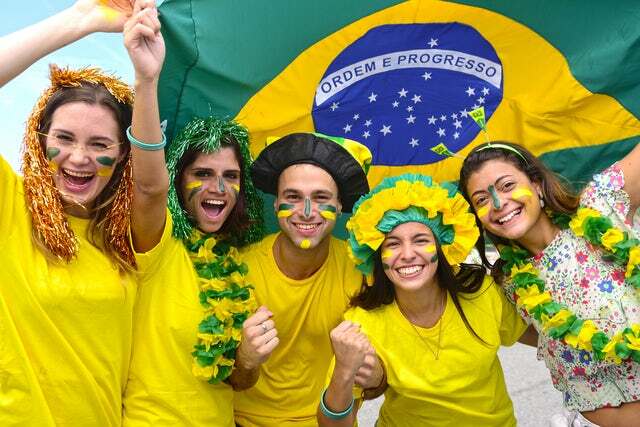 Brazil, a former Portuguese colony, is the only South American country that does not speak Spanish. It is home to more than half of the South American population at 201,032,714. The following is a list of 10 things you might not know about the greatest country in the South America. 1. The national dish of Brazil is known as Feijoada and the national drink is caipirinha, both of which have their origins in the rural Portugal. 2. Brazil is the largest producer of coffee in the world. It is particularly loved due to its variety in that it is grown on soils with different nutritional components given the hugeness of the country. 3. The most common last name in both Brazil and Portugal is Silva. It was the name of choice for the hundreds of slaves that were captured from the West African Coast and taken to Brazil to work in the plantations. 4. São Luís, capital of Maranhão, is the only city in Brazil that was founded by the French. Others were founded by either the Spaniards or the Portuguese. 5. Brazil's National Soccer team is the only in the world to have participated in all FIFA world cups, and has been crowned world champions a whopping 5 times in 1958, 1962, 1970, 1994 and 2002. 6. Note: Brazil consumes 1.5 million pizzas every day. Of these, 800,000 are consumed in Sao Paulo alone. Talk of a nation going crazy on an Italian Delicacy - I doubt even Italy consumes as much pizzas. 7. Kissing strangers is socially accepted in Brazil. Do not be surprised when a total stranger kisses you out of happiness. 8. There is no such thing as an introverted Brazilian. They say that if you want to bring somebody out of their shell, take them to the vivacious culture of Brazil...they will come out of their cocoons within an hour of being in a Brazilian football pitch. 9. Brazil is home to more than 80 Species of Monkeys - this is more species than any other country in the world. 10. Brazil is home to the 2.3 million square miles Amazon rainforest which is still home to Native Indians. This forest is the world's largest remaining rainforest. Of course the giant country has hundreds of things you do not know. Feel free to add to the list. Better still, visit the country and you will never see leisure travelling in the same light again!